Yesterday I found out some awesome news, namely that David Lynch is working on a new film, and has been for two years, with the hope of premiering it one year from now. You can find out more here. In the time since Lynch made Mulholland Drive, I saw that film, watched all of Twin Peaks, as well as every other film he's made. Lynch, while he might not be the most consistent director, is the person I'd want to see a new film from right now if I could, either him or Paul Thomas Anderson. So, I'm really happy to see that Lynch is working on something new. I've spent so much time studying his other films, I feel like I've really got a good idea of how he approaches filmmaking, and want to see where a new film will fit in with the things he's done before. This new film sounds similar to his others, in that it's about "a woman in trouble." He also brings back a lot of people who have worked with him before. I'm glad to see he's working with Laura Dern again because she's changed a lot since they last collaborated, and she was brilliant in We Don't Live Here Anymore. Justin Theroux was great in Mulholland Dr., so it's good to have him back. The most interesting thing in that article was the fact that Lynch was doing the film on digital, and he's apparently converted to the digital side. As much as part of me would love to make a film on film, digital really is the way of the future, and to ignore that will only leave you back with the guy complaining about "talking pictures." The thing that's interesting about digital is that unlike the move to color and other similar advances in sound and picture quality over the year, digital gives the audience roughly the same, if not a slightly worse picture than film, however the big difference is in what it does for the filmmaker. If you compare film to writing a novel, having to shoot on film is like having to pay a huge amount of money for each piece of paper, which would mean you would have to be very precise in writing your novel, and try to minimize the mistakes. This means you wouldn't be able to experiment as much, or change things midway through. This is basically the situation you have shooting on film. It's extremely limiting, both because of the cost and becase of the time limits on the film itself, you can only shoot about 15 minutes before having to switch the film. 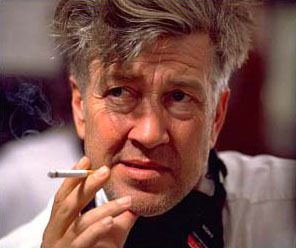 Lynch makes the point that by just leaving the camera running, you can let the actors get much deeper into character, and just keep working until they get it right, with no worries about running out of film. There are basically no limits on how much you can shoot, and that's very liberating to a filmmaker. I read a book of interviews with Lynch, and throughout them, he focuses on the fact that what he's trying to do with film is channel information from an unconscious place, what Alan Moore would call the immateria. So, he works not with strict plans, but on feeling, on what feels right at the time, and that means that it is difficult to have to do the strict planning required for shooting on film. Shooting on digital, it's a lot easier to get an idea and execute it right there, and as a filmmaker that's what it's all about. I think too many people think of film as translating written word to the screen. They view a screenplay as a set of instructions rather than as a loose guide. Making a film, while it incorporates elements of writing and of painting is ultimately about the fusion of the two, and that means that to truly be a filmmaker, you have to be telling your story as you work on the film, not beforehand in the script stage. Joss Whedon called television "radio with faces" and too much of film could be called theater on a screen. To truly be a filmmaker means working on your story on film, and revising things as you shoot. Wong Kar-Wai was the first person who really made me think about this. He provides a loose outline for his films, and then shoots a whole bunch of stuff, gradually 'finding' the film. For example, In the Mood For Love began as a light comedy about food, and turned into a heavy drama about the negative space in an affair. Looking at the documentary on the Criterion DVD, you can see elements from the 'first draft' of the film, and it's completely different from how it ended up. Now, most stories end up in a very different place from where they started, but where WKW is unique is that he works out his stories not through many drafts of a script, but through filming stuff, seeing what works and building off of that. So, he is quite literally making a film as opposed to filming a script. And, it sounds like that's what Lynch is doing now. The difference may sound insignificant, so let me see if this simile will work. Imagine if you were writing a song, and you wrote the lyrics and the music, and then recorded the song once, and used that. It would make a lot more sense to play through the song, and see what works, because then you will actually working in music rather than on paper. To shoot the film and revise as you shoot is to work on film rather than on paper. Now, obviously this is difficult because film is very expensive, and that's where digital comes in. If you're someone like Lynch, who can get his actors to work cheap, and has the clout to spend as much time as he wants, you're basically set. You can make whatever film you want, without limits. And the great thing about this is the only thing separating me and Lynch is his clout and money. But, digital has levelled the playing field, and that's something driving me this summer. The only excuse for not making a great film is my own laziness, something I have to conquer, and also the fact that I need to motivate people and help them share my vision. That may sound pretentious, but it's really what it's all about, I need to motivate people, and that's something I'm not usually that good at, or at least not compared to others, but one man cannot make a film. I need help. I think digital is the most important thing to happen to film since sound. It completely changes the game, and gives directors like Lynch a completely new control over his vision. Done right, digital looks amazing, as in Sin City. And what it means is that even if I never 'make it' as a filmmaker, I can still make films. Yesterday, I went to see the movie Crash. The primary draw for me was the fact that this is a movie with a huge ensemble cast, and the characters sort of pass through each others' lives as time passes, much like in Magnolia, a film I loved so much it's made me partial to any of these big cast movies, such as PT Anderson's Boogie Nights, or Robert Altman's Nashville, both of which are also excellent films. Crash isn't as good as either of those two films, but that doesn't mean it's not a really good film, it's certainly worth seeing. What makes this film different than those films is there is a stronger thematic connetion between the interactions in this film, all of them are built around race in some way. So, the film takes characters who are sort of racial archetypes and plays around with our perception of them. For example, we see a white woman who is suspicious of a Hispanic locksmith who she says looks like a gang member, then it turns out that he is in fact a devoted family man, trying to make a better life for his daughter. The thing that holds the film back from greatness is in some respects its short running time. We don't really get to know that many of the characters, so it's difficult to get really emotionally involved with them. The amazing thing about Magnolia is the fact that all nine of the characters are so well developed, and none of them fall into archetypes. Almost all the characters here are in some way archetypal, but I think that might have been intentional. The goal is to show the conflict people have with other races and with their own racial status, but that turns the film into a more intellectual exercise than an emotional one. I think a critical thing to making these big cast movies work on an emotional level is to connect them through the score and, while the music here is good, it doesn't work like in The Hours or Magnolia to bring to mind the universal similarities of all the characters. But, this film still has a ton of interesting stuff going on. I was really surprised to see that the best performance in this film was by Ludacris, who was really entertaining, and nicely in the character. He probably best exemplifies the difference between what someone says and how they act, which is the core of this film. The crowd I was at with this film didn't really seem to like it, practically everyone was gone before the final shot even ended. This is one thing I don't get when people go to the movies, are you in so much of a hurry to get out of there that you can't even stay until the credits start? I like to give the film a minute or so after the credits start before I leave just to let it sink in. It shouldn't be a race out of the theater, the real world will still be there no matter how long you stay in the theater. I dont' mean to sound critical of the film, since on the whole, it's a thought provoking, really well made piece of entertainment. Too many times when you go to a movie, you leave with a sort of empty feeling, like nothing of substance occurred. 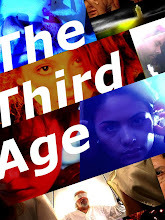 This film has a lot of substance and leaves you fulfilled. It's the sort of film 70s Hollywood was famous for, smart, complex entertainment.